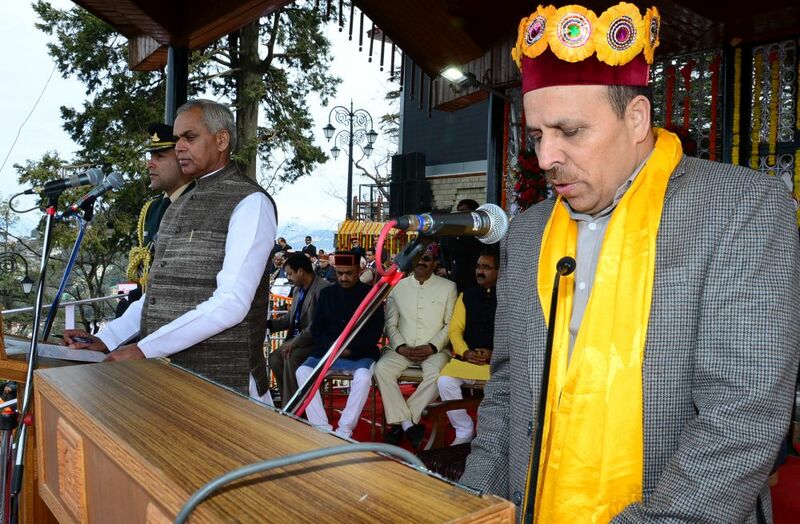 Jairam Thakur sworn in as 13th Chief Minister of Himachal Pradesh. 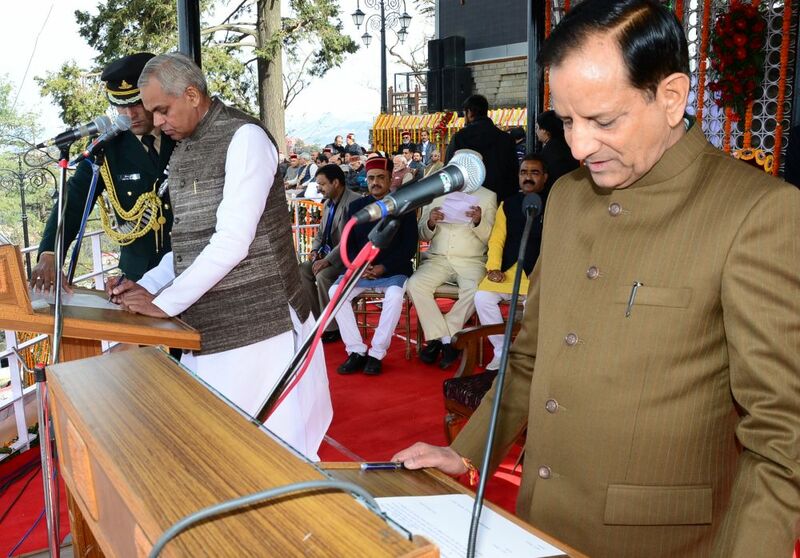 Himachal Pradesh has seen three Chief Minister since 1983 viz. 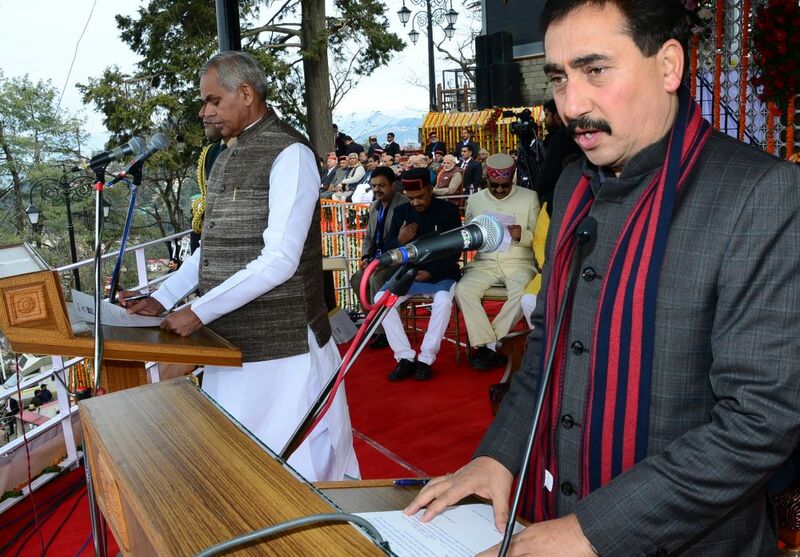 Virbhadra Singh, Shanta Kumar and Prem Kumar Dhumal. 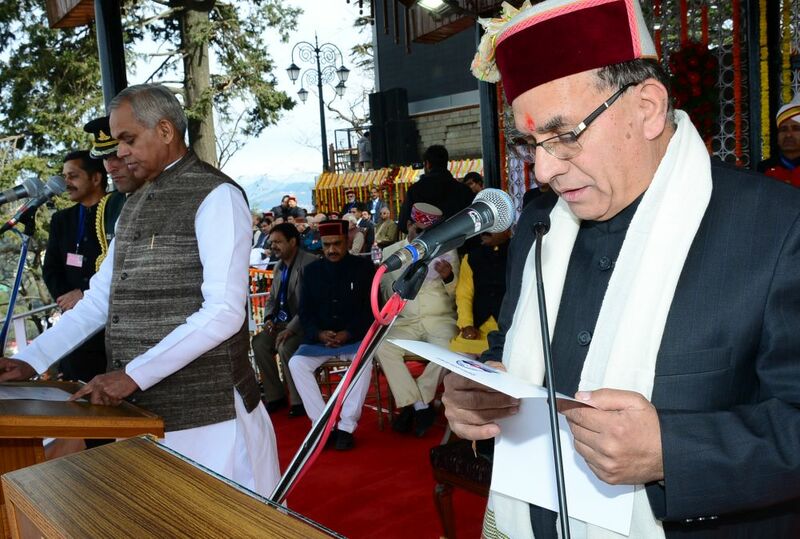 Virbhadra Singh had served the state for over 21 years, Prem Kumar Dhumal had little less 10 years and Shanta Kumar served the state for 1017 in past 35 years. 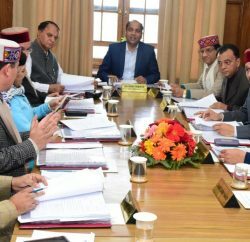 Jairam Thakur, who has got a chance to head the government, after shock defeat of BJP Chief Ministerial choice Prem Kumar Dhumal to Congress candidate Rajinder Rana. Jairam Thakur has received acceptance not only from BJP but from opposition Congress as well. 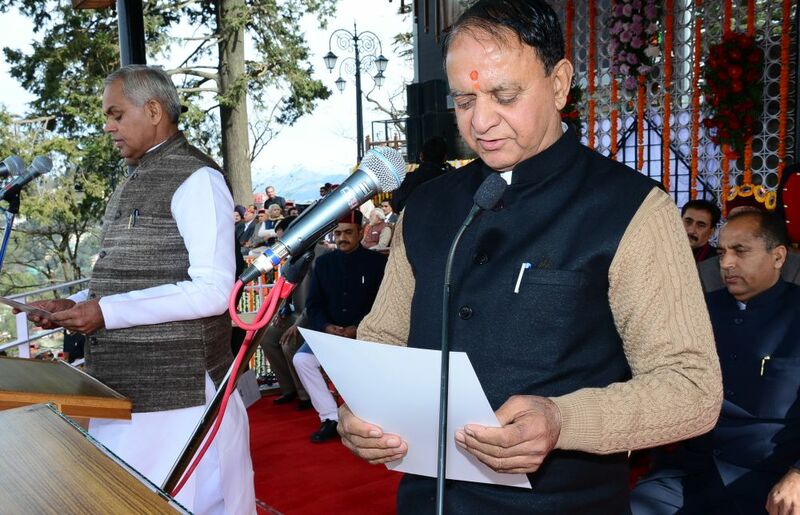 Former Chief Minister and most successful leader from the state Virbhadra Singh has congratulated Chief Minister Jairam Thakur. 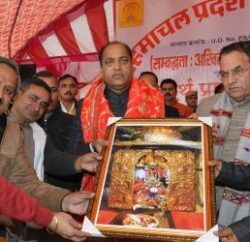 Jairam Thakur was born on 6 January, 1965 in Tandi village of Murahag panchayat of Seraj Assembly constituency in Mandi district. 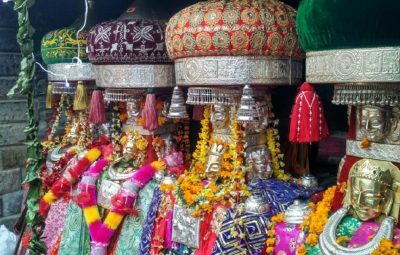 His father’s name was Jethu Ram and mother’s name is Briku Devi. 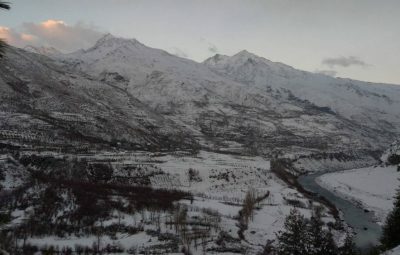 Thakur did his primary education from Kurani School and studied in High School Bagsyad near Thunag. 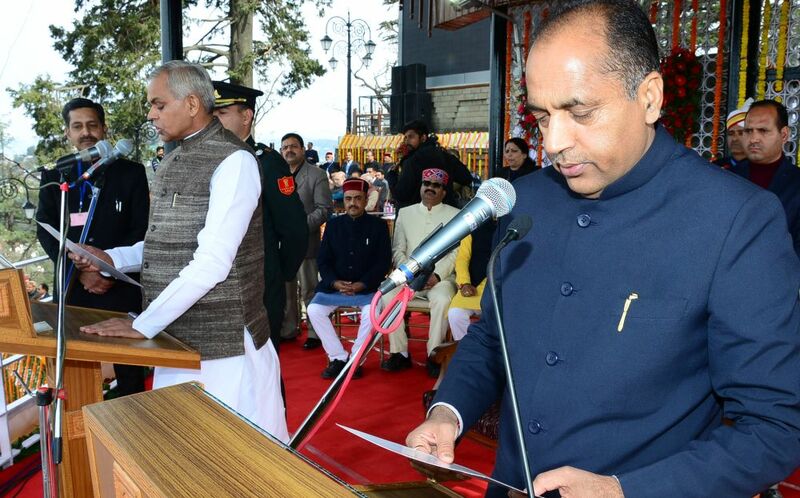 Jairam Thakur completed his graduation from Vallabh Government College Mandi and did his MA from Punjab University. He is the youngest of three brothers. He has two sisters. During his college and University days he was the member of ABVP and in the year 1993 he fought his first election from Chachiot Assembly constituency when he was 26 years of age. In 1998 he won his election from Chachiot Assembly constituency and has been MLA from Chachiot (which after delimitation was known as Seraj Assembly constituency) since then. He is MLA for five consecutive terms. He remained State BJP President and was Cabinet Minister in previous BJP government. 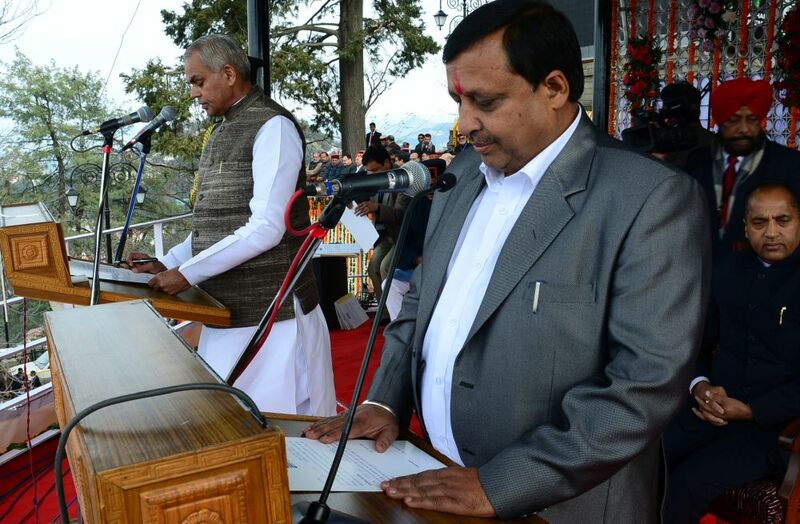 He has also remained as Vice Chairman, State Civil Supplies Corporation. He also remained as President of BJYM. 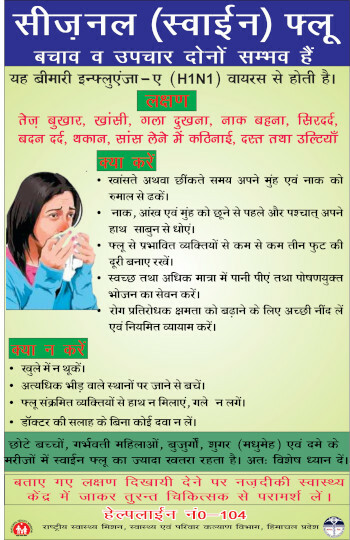 He is married to Dr. Sadhna Singh from Jaipur and has two daughters. Mahender Singh was born on 22 February, 1950. He was elected to State Legislative Assembly in February 1990 as an Independent. Elected again in 1993 as Congress candidate. In 1998 elected on HVC ticket in 2003 as Lok Tantrik Morcha (H.P.) candidate and in 2007 on BJP ticket. He also won 2012 Assembly election as BJP candidate. For being elected to the Assembly in five consecutive elections, on five different election symbols has been recommended for entry in the Guiness Book of World Record. Remained Minister of Rural Development, Panchayati Raj and PWD from March 1998, resigned from the Council of Ministers on December, 2004. Thakur remained Chairman, Estimate Committee besides being Member of various other House Committee. Kishan Kapoor was born on 25 June, 1951. Remained Member Bhartiya Jan Sangh and Janata Party before being associated with the BJP. Kapoor was elected to the Legislative Assembly in 1990 as BJP candidate, re-elected to the Assembly in 1993 and 1998. 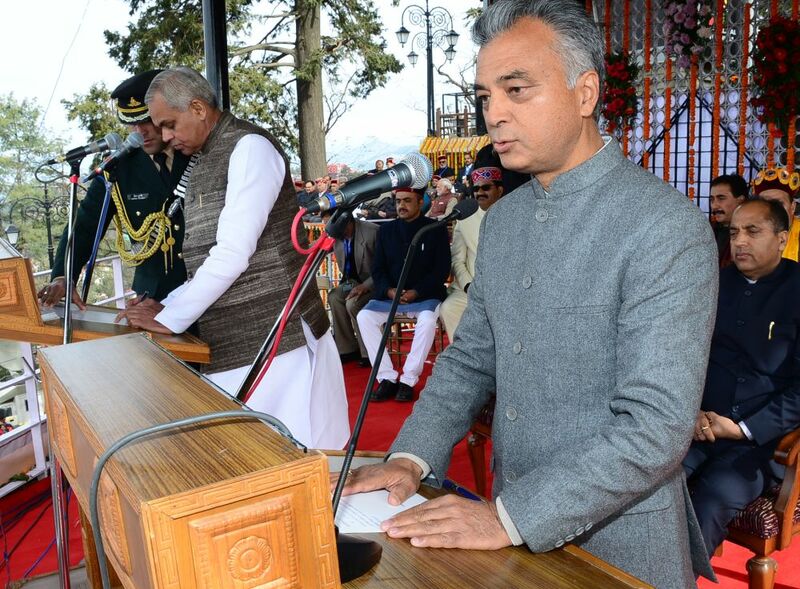 Suresh Bhardwaj was born on 15 March 1952 at Village Bhamnoli, PO Summerkot, Tehsil Rohru, district Shimla. He is BSc and LLB. Bhardwaj remained actively involved in student movement during college days. Was National Secretary of ABVP from 1973-74, jailed on several occasions particularly during the emergency time. Was elected president law students association, H.P. 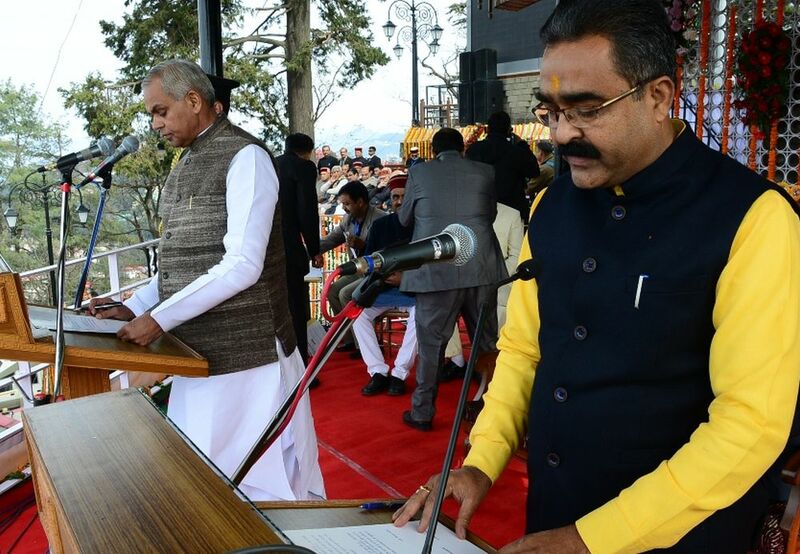 University, Shimla, Convenor, Himachal Pradesh Loktantrik Morcha, 1977, President Janata Yuva Morcha, 1978-81, Himachal Pradesh BJYM National Treasurer, 1987-88 Secretary, Pradesh Bhartiya Janata Party, 1982-83, Vice President BJP Himachal Pradesh and President State Bhartiya Janata Party from 2003-2006. Elected to State Legislative Assembly in 1990 and to Rajya Sabha in 2002. 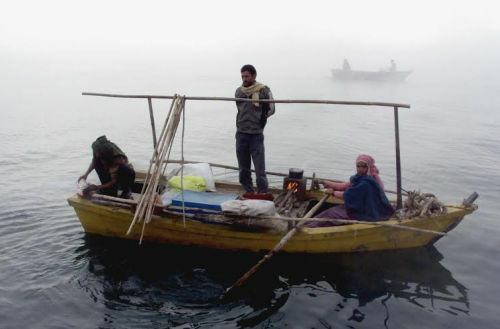 He remained Member of various standing Committees of the house as also the Consultative Committee of various ministers. 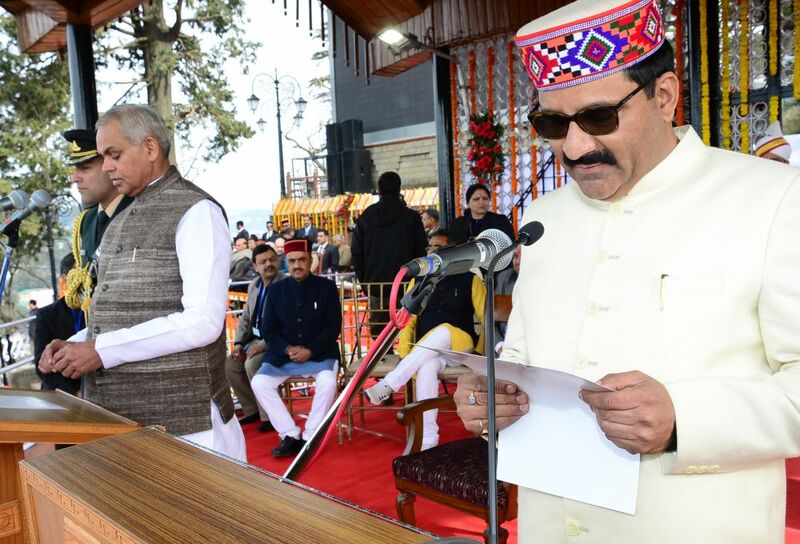 Returned to the State Legislative Assembly in December, 2007 and appointed Chief Whip of Bhartiya Janata Legislature Party and Chairman, Human Development Committee of the house. He also won the last Assembly election 1n 2012. Anil Sharma was born 30 June, 1956. He is BSc (Diary Technology). Sharma was elected to State Legislative Assembly in November, 1993, remained Minister of State for Youth Services, Sports and Forest, 1993-96. Remained Member Rajya Sabha, 1998-2004, ii) Railways Committee, iii) Food, Civil Supplies and Public Distribution Committee, iv) Consultative Committee Ministry of Communication and Consultative Committee, Ministry of Communication and Information Technology. Elected again to the State Legislative Assembly in December, 2007, remained General Secretary Pradesh Congress Committee and Chief Whip, Congress Legislative Party. Elected to State Legislative Assembly in December, 2012 and remained Rural Development and Panchayati Raj Minister. Sarveen Chaudhary was born on 21 January, 1966 at Dharamshala. She did MA in classical dance and Diploma in Yoga, Painting and Cookery. She took part in Nehru Yuva Kendra and NSS activities during student life, participated in folk dance competition at National and International level and remained best folk dancer, Punjab University for five years. Active worker of R.S.S. 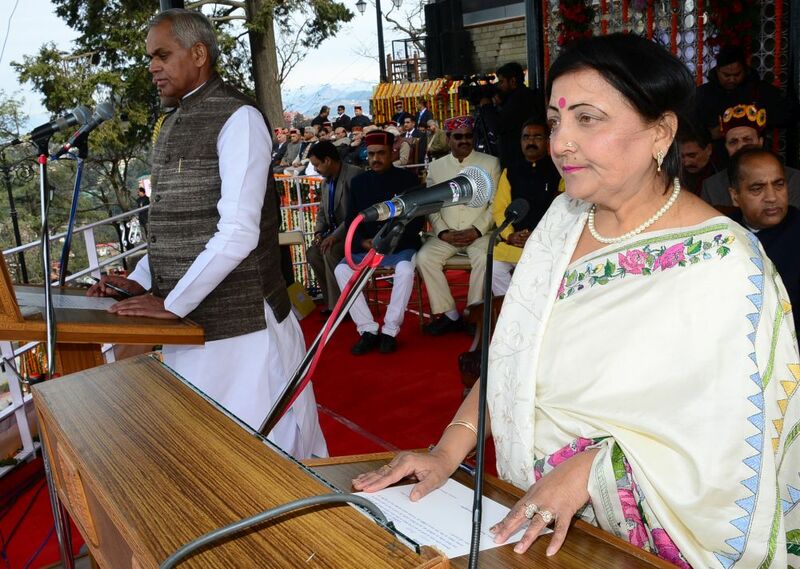 She entered politics in the year 1992, remained Mandal Pradhan, Mahila Morcha, BJP in 1992 to 1994, member state executive BJP since 1993 and president Bhartiya Janata Party, district Kangra from 1995-97. Elected to the State Assembly on BJP ticket in 1998 and remained Parliamentary Secretary from 3 November 1998 to March 2003. Elected again to the State Assembly in December 2007 and was appointed Minister for Social Justice and Empowerment. She again won 2012 Assembly election. Dr. Ram Lal Markanda was born on 17 October, 1966. Markanda remained Joint Secretary, State NSUI 1989-93, Senior Vice President, State NSUI 1996-97, General Secretary H.P. Youth Congress, President Himachal Vikas Congress, District Lahaul & Spiti, Joint Secretary All India Tribal Association, President Research Scholar Association, H.P. 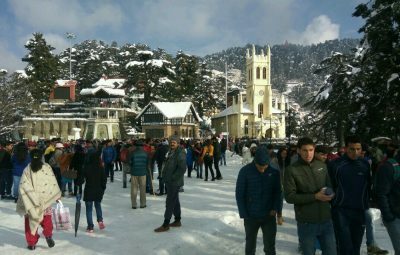 University Shimla. Elected to State Legislative Assembly in 1998 as HVC candidate. He remained Minister of State for Rural Development and Panchayati Raj (Independent charge), Minister for State for Animal Husbandry (Independent Charge) and attached with the IPH and Minister for IPH, was given additional charge of PWD (attached with the CM) in 2001 and resigned from the Council of Ministers on 3.2.2003. Vipin Parmar was born on 15 March, 1964. Parmar was active worker of Rashtriya Sevak Sangh (RSS) remained organizing secretary State Akhil Vidyarthi Parishad and Secretary All India Akhil Vidyarthi Parishad. Elected to State Legislative Assembly in 1998 and re-elected in December, 2007. Virender Kanwar was born on 29 January, 1964. He is BA, LL.B. and Diploma in Pharmacy. Member of RSS since childhood, Convener ABVP, district Hamirpur between 1981-85, General Secretary and President, BJYM, district Una from 1992-95 and 1995-2000 respectively, Member State Bhartiya Janata Party, Executive 2003-06 and President District BJP 2006, also remained Member Zila Parishad Una, 2000-2003. Son of Kishan Chand; born on 28th August, 1964 at village Jole, Tehsil Jaswan, Distt. 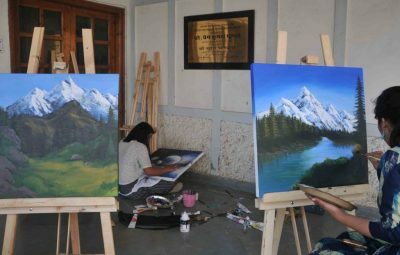 Kangra; B.Sc., B.Ed. ; married to Smt. Mamta; one son and one daughter. Elected to the Legislative Assembly in 2003 from Jaswan Assembly segment which has now been renamed as Jaswan-Pragpur after delimitation. Remained Vice Chairman i) H.P. 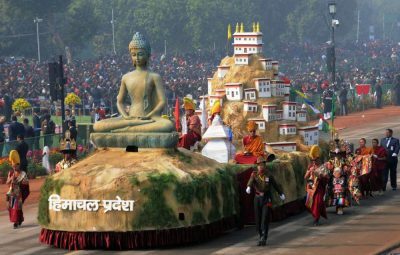 Khadi & Gramudyog Board 1999-2003, ii) H.P. Forest Corporation, 2008-2012; President, State BJYM 2000; and Vice President State BJP 2008. Again elected to the State Legislative Assembly in December, 2012 and 2017. Son of Kunj Lal Thakur (Ex. 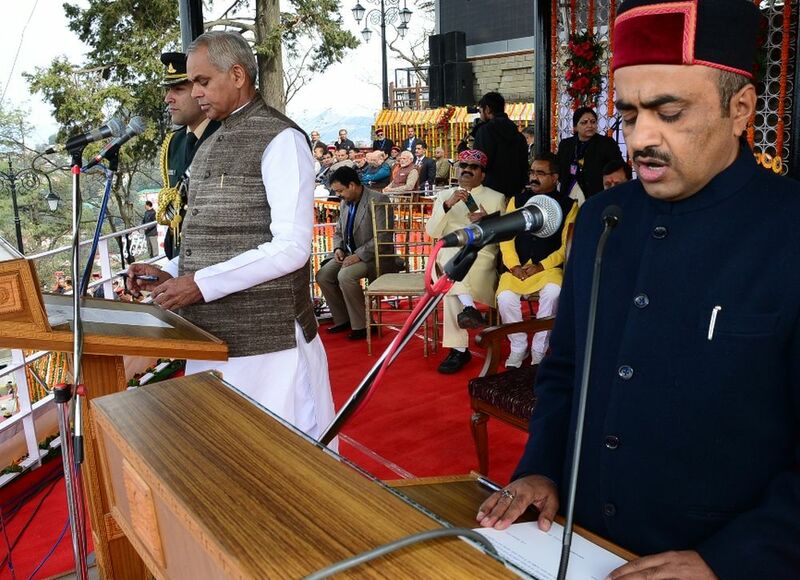 Minister) born on 3rd October, 1968 at Village Kanyal, Tehsil Manali, District Kullu, Graduate, married to Smt. Rajni Thakur, two sons, Agriculturist & Horticulturist. Remained State President, Bhartiya Janta Party Yuva Morcha. Elected to State Legislative Assembly in 2007 and 2012. Dr. Rajiv Saizal was born on 11 July, 1971. He is BAMS. Saizal remained General Secretary of Doctors Cell, BJP, district Solan. He was first elected to the State Legislative Assembly in December in 2007 and reelected in 2012.